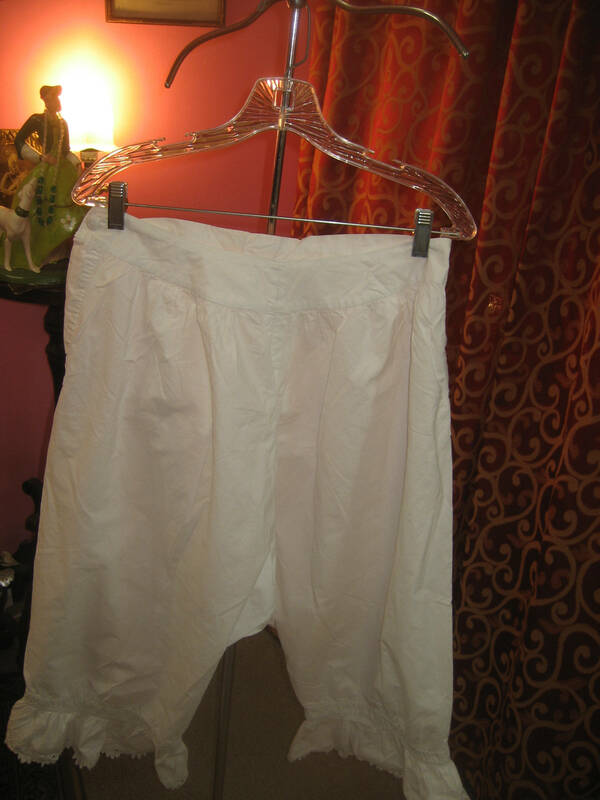 1890's, 30 waist, white broad cloth cotton wide legged bloomers. 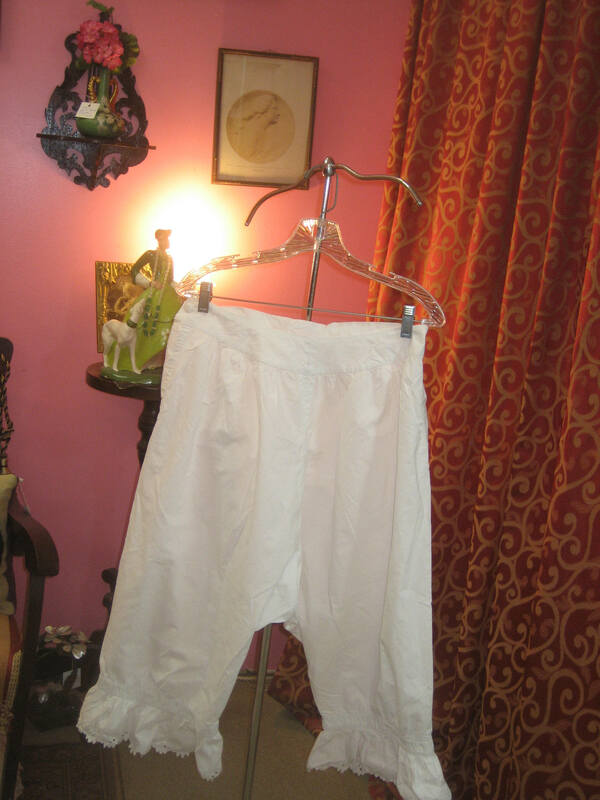 1890's, 30" waist, white broad cloth cotton wide legged bloomers. 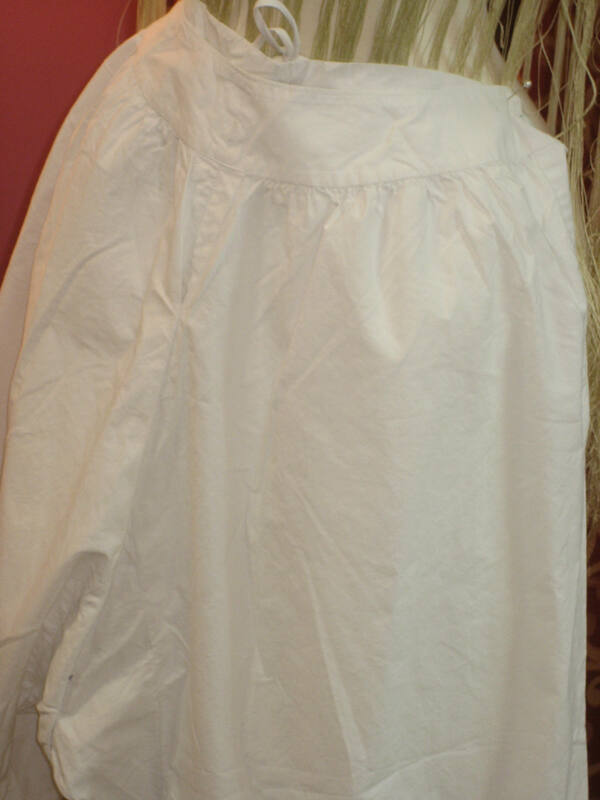 1890's, 30" waist, white broad cloth cotton wide legged bloomers.The bloomers have a drawer string in back of waist, full legs and eyelet flounce at bottom of each leg. 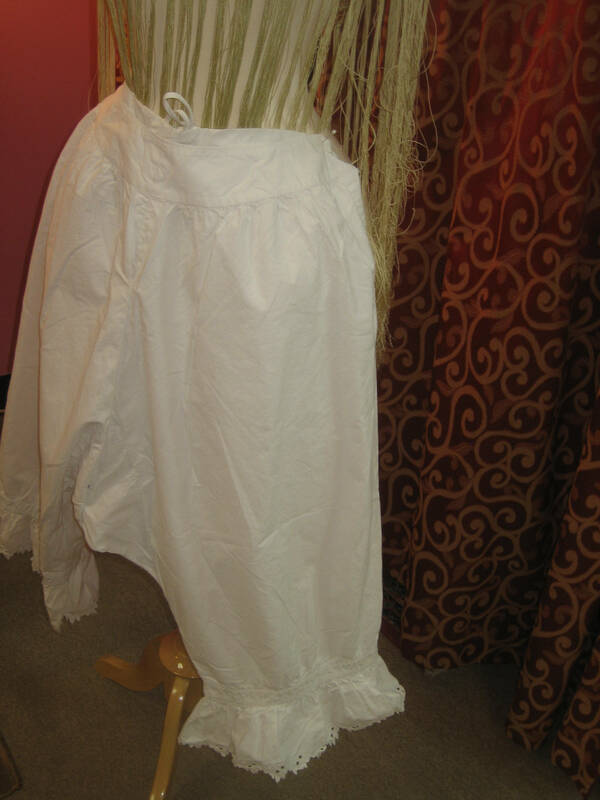 Bloomers fasten , with one round white glass button at each side of waist band, with opening to hi under to hip.